An interesting graph is being produced here. Please click on the image for a better view. 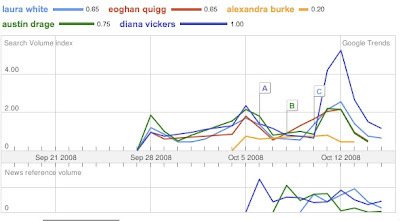 If the Diana spikes become a regular pattern I will bet on her. Below is the Trendrr live feed graph which supports Diana very strongly. I will add the other acts on the feed tommorrow.